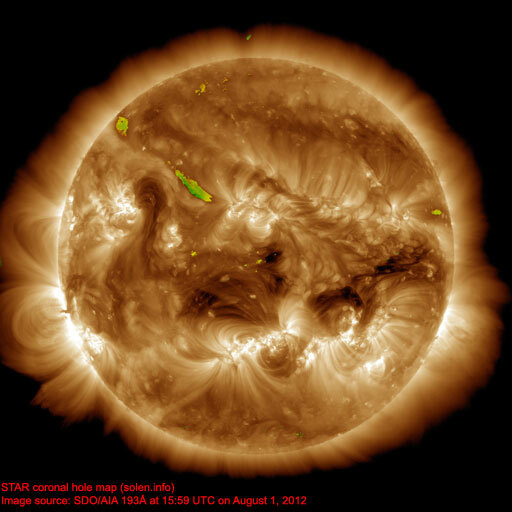 Last major update issued on August 3, 2012 at 05:45 UTC. 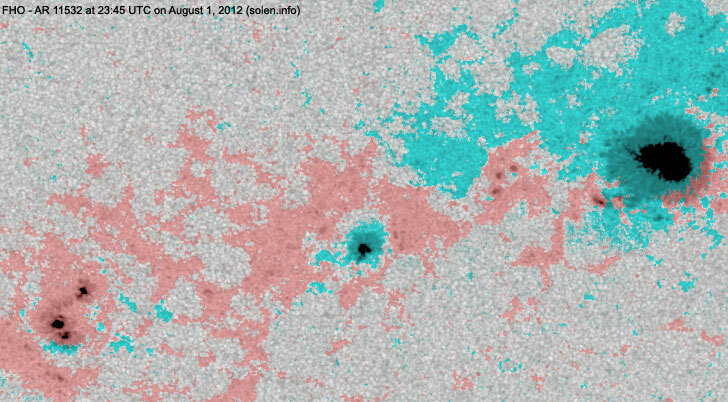 The geomagnetic field was quiet to minor storm on August 2. 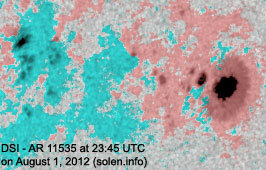 Solar wind speed at SOHO ranged between 348 and 455 km/s. 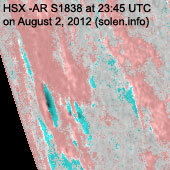 The disturbance associated with the CME observed on July 28 arrived just after 10h UTC at ACE. 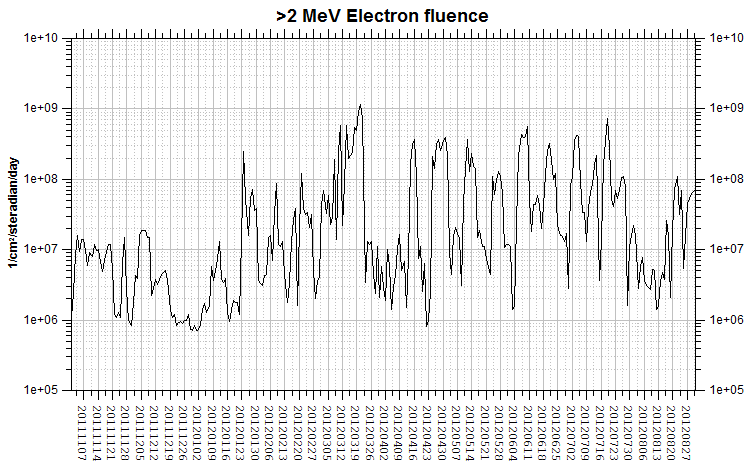 Solar flux measured at 20h UTC on 2.8 GHz was 134.6 (decreasing 23.1 over the last solar rotation). 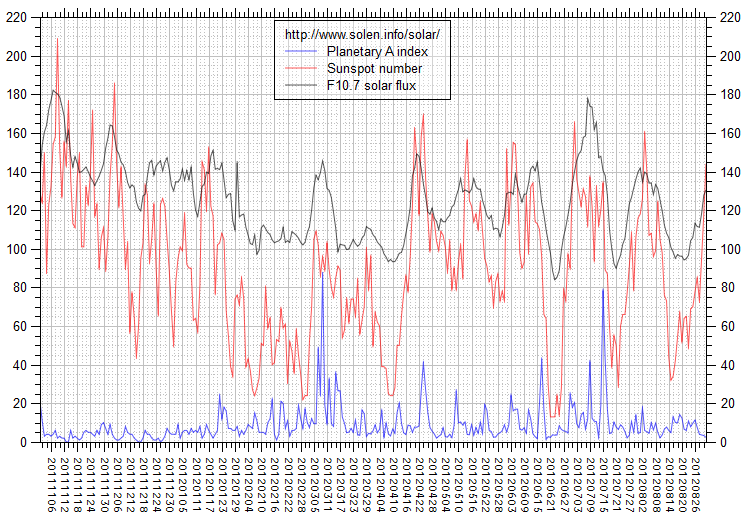 The Potsdam WDC planetary A index was 19 (STAR Ap - based on the mean of three hour interval ap indices: 19.0). 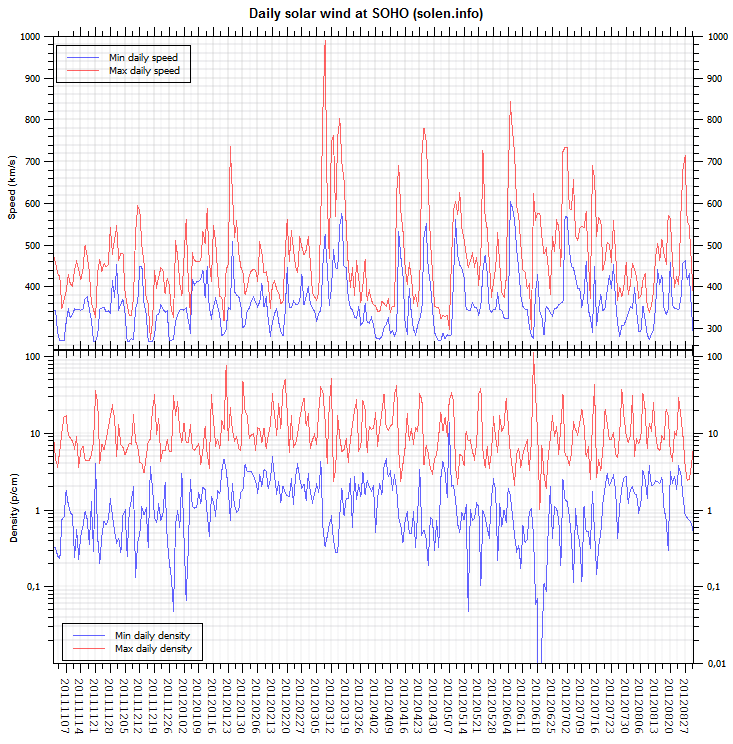 Three hour interval K indices: 11125543 (planetary), 10124533 (Boulder). 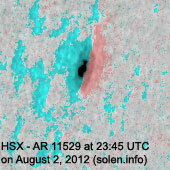 Region 11528 [N16W69] developed slowly and quietly. 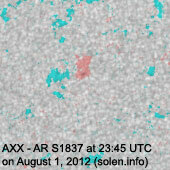 Region 11529 [S11W62] was quiet and stable. 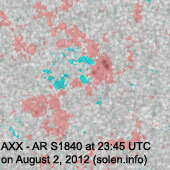 Region 11530 [S19W52] was quiet and stable. 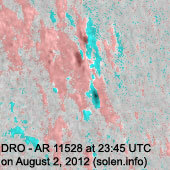 Region 11532 [S21W23] was quiet and stable. 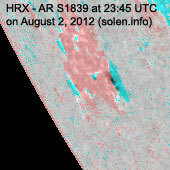 Region 11535 [N18E23] decayed in the trailing spot section and was mostly quiet. Region 11537 [N12E50] was quiet and stable. 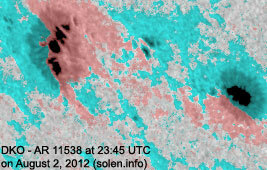 Region 11538 [S23E45] developed in the trailing spot section and has weak polarity intermixing. 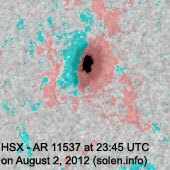 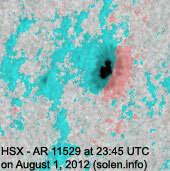 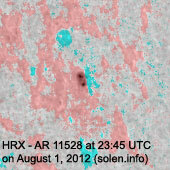 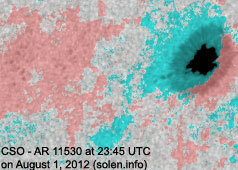 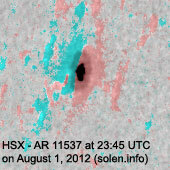 New region 11539 [S23E58] rotated into view on August 1 and was numbered the next day by SWPC. 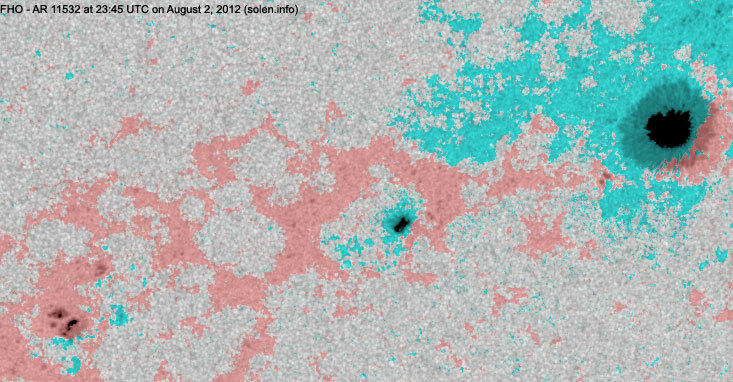 This is a reversed polarities group. 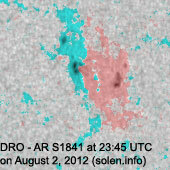 New region S1838 [S17E77] rotated into view. 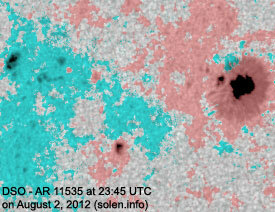 New region S1839 [S27E69] rotated into viw with small spots. 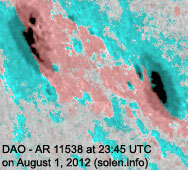 New region S1840 [N09E28] emerged with small spots. 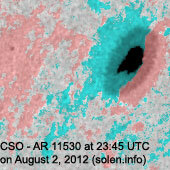 New region S1841 [N07W42] emerged with several spots. 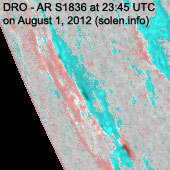 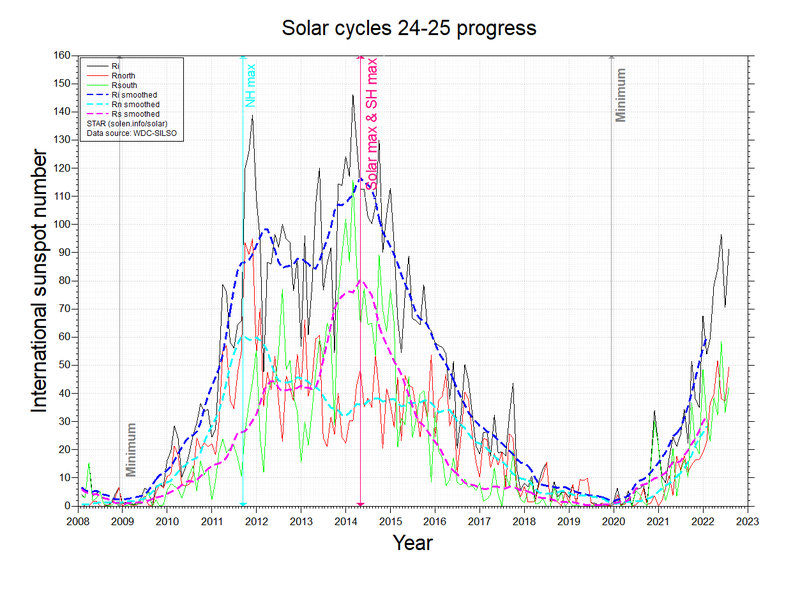 July 31 - August 2: No obviously Earth directed CMEs were observed in LASCO and STEREO imagery. 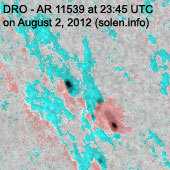 No obvious coronal holes are currently in or close to geoeffective positions. 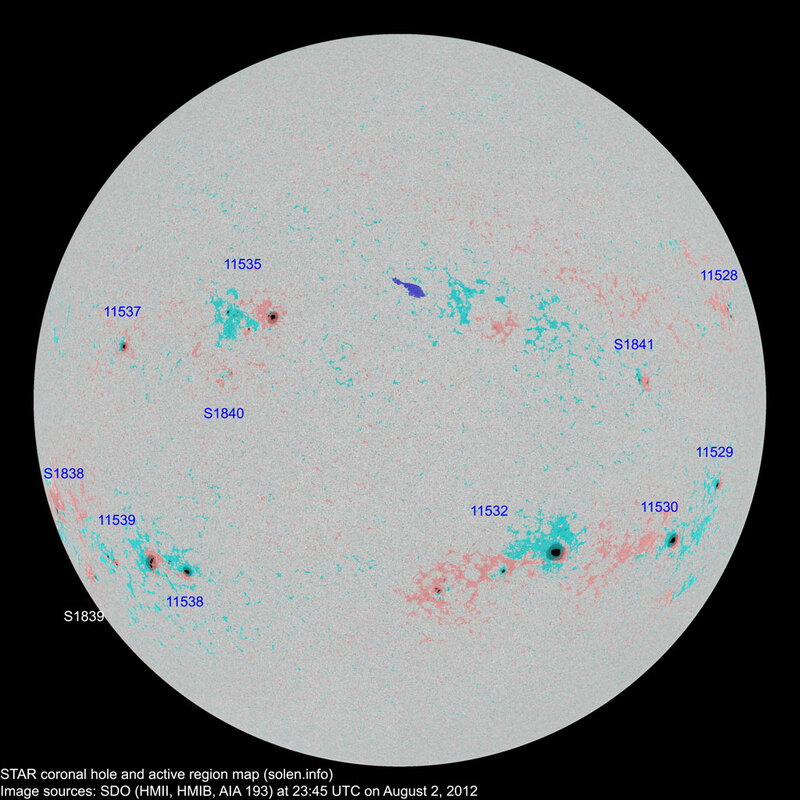 The geomagnetic field is expected to be quiet to unsettled on August 3-5.